Airline's Holding Up My Luggage!!! So, What's In The Bag? 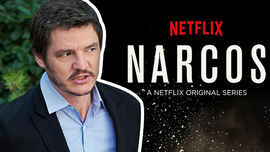 “Narcos” Star Pedro Pascal – My Character Could Bust El Chapo!